The Quiet Woman (1990) is a psychological thriller about a political killing. Alice Stockton is a professional writer living alone in Wiltshire, recovering from a messy divorce. She has befriended a much older woman who lives in the same village, Eleanor Hamilton, who years before was the writer of a successful series of children’s books. This part of the UK has suffered from a radioactive spill, following a major accident at a nuclear reactor in northern France. Information about the dangers of contamination is hard to obtain, but disturbing clues are everywhere. When Eleanor is suddenly murdered, and the police attribute it to a random attack by a stranger, Alice tries to find out what might really have happened. She knows that in the past Eleanor was a political activist, arrested several times for her protests against nuclear weapons, arms sales to repressive régimes, etc. Eleanor’s middle-aged son Gordon, whom she had largely disowned, turns up in the village, and starts to take an interest not only in Alice’s investigations but, unwelcomely, in Alice herself. 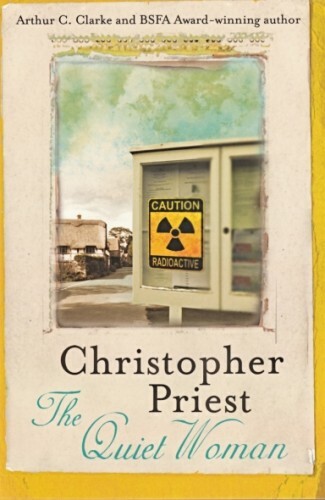 Her rejection of Gordon’s advances leads to events that make her realize the truth of Eleanor’s killing, and the dangerous reality of the government’s cover-up of the nuclear contamination of the country. A three-part TV adaptation of The Quiet Woman was commissioned by the BBC around the time it was first published, but in the event was not produced. All rights are currently available. Reviews of The Quiet Woman.